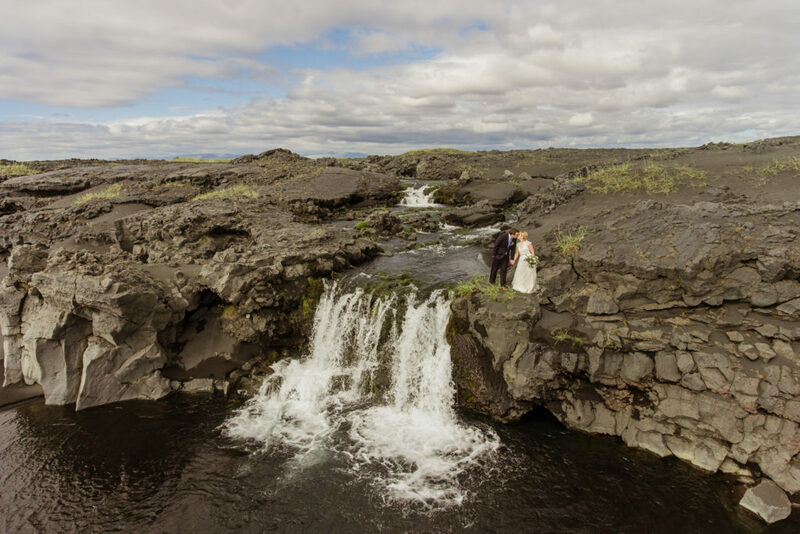 Making the decision to have your destination wedding or elopement in Iceland is a super exciting one! 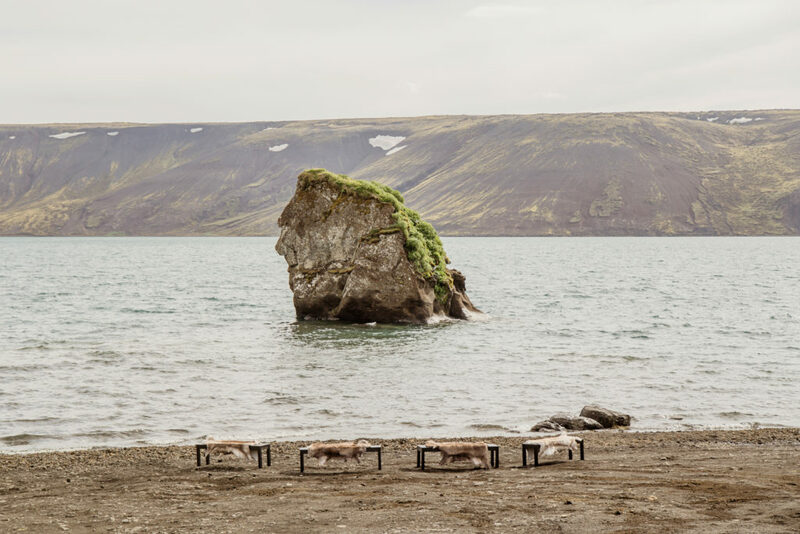 There are endless Iceland wedding location options, tones, textures, and natural wonders to marvel over. 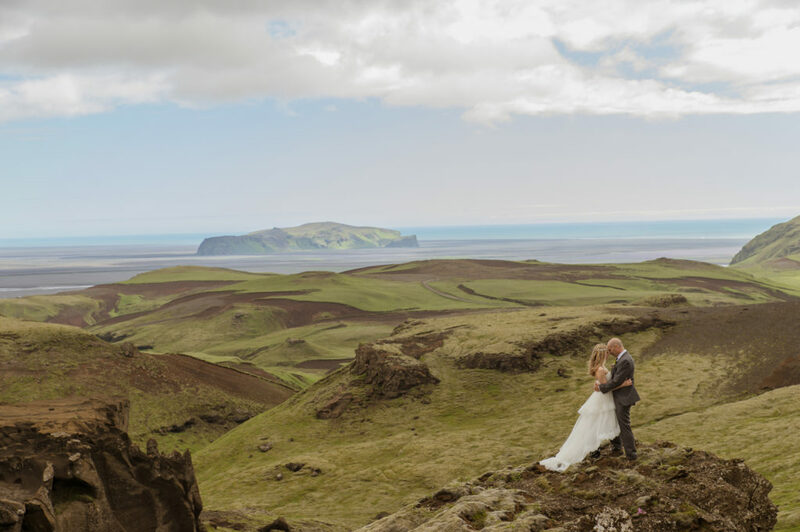 But know that Iceland Wedding Planner team are not typical destination wedding planners. Rather, our focus is on full day adventure weddings and luxury elopements. So what does that mean? 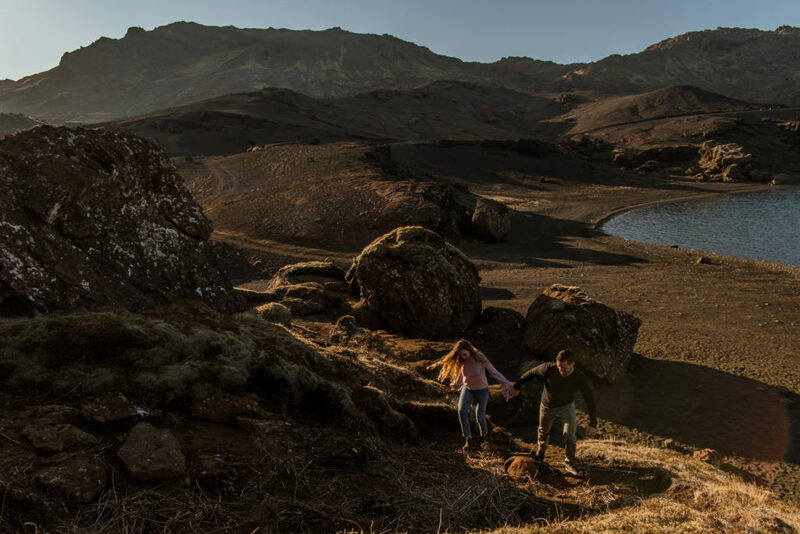 1- You’re an adventurous couple bringing 2-100 guests who are your family + friends to Iceland. 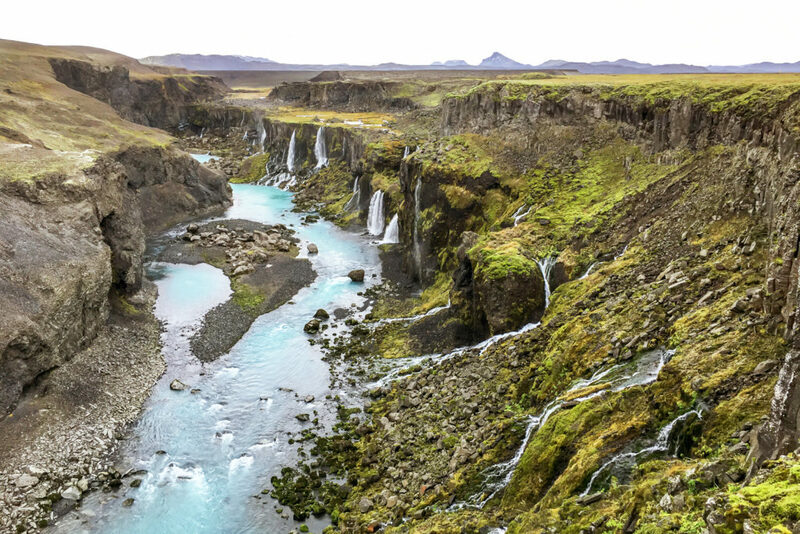 2- You’re a couple looking to have a magical, yet private adventure in Iceland for just the two! 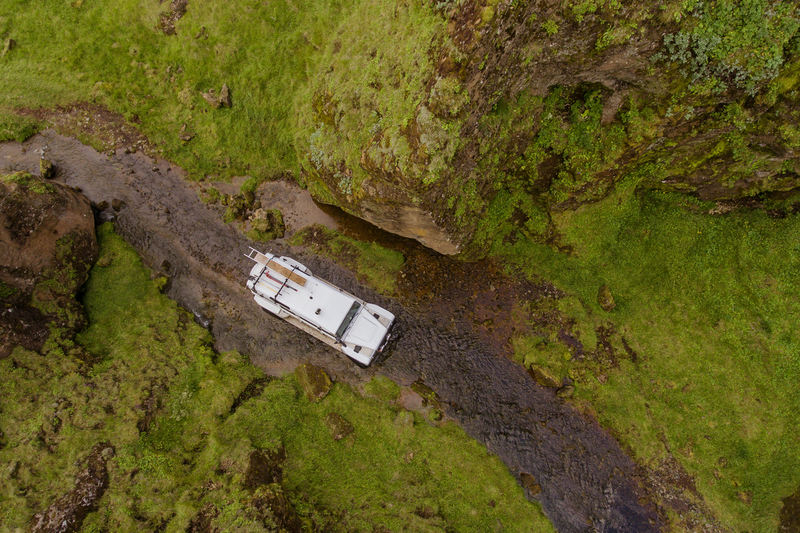 In either option, you are soooo ready to embark on an unforgettable adventure to offbeat / private places in Iceland via super jeep for your wedding day. 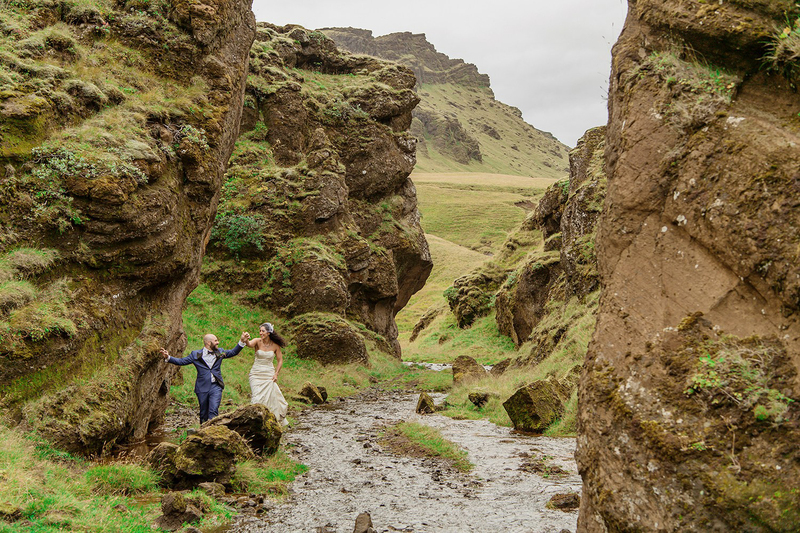 Please Note: Our Iceland Wedding Planning team does not plan church to reception (aka, traditional style weddings) unless it’s your intention to have a full (or half) day adventure after (like THIS fabulous couple). If you’re looking to plan an adventure wedding in Iceland with unique locations NOT flooded with tourists, then you have come to the right place! 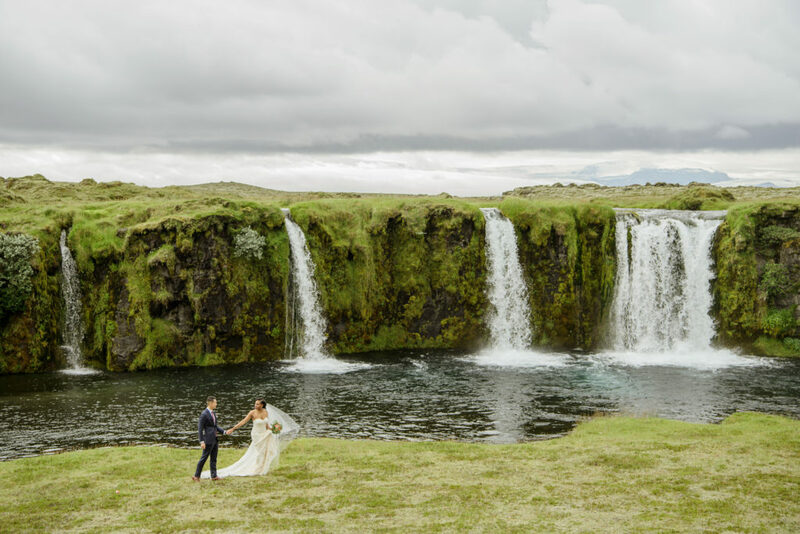 When we begin Iceland Wedding Planning with you, we are firm believers in having the experience begin right from the time we first Skype meet each other. 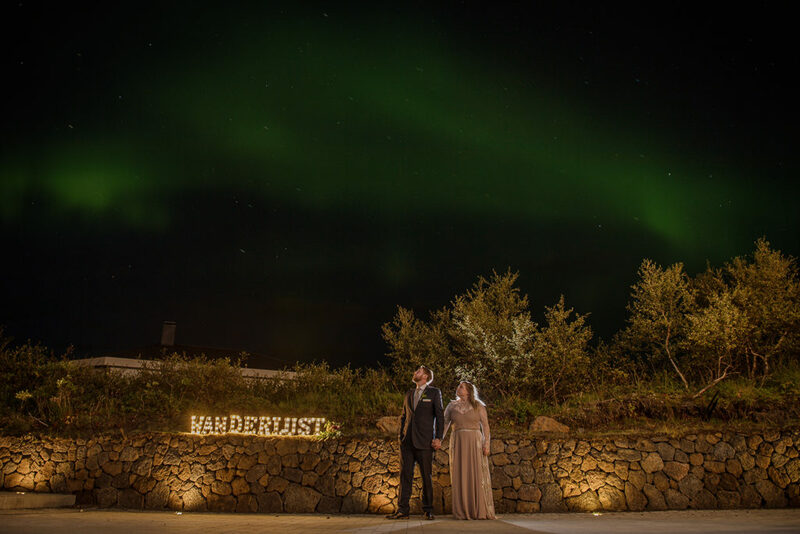 Then if we all agree on it being a good fit, then we enter into our unique Iceland wedding planning “date night” experience, where we interactively show you “custom schedules” that take you on a “tour” of your locations, so your Iceland wedding adventure begins taking life. Our decision process is easy and smooth, after all if it wasn’t we wouldn’t have 5 star reviews on these 3rd party websites: Google, Wedding Wire, and The Knot! Fast forward to your awesome Iceland wedding day, where you will embark on a one-of-a-kind adventure wedding that has you driving through rivers in a super jeep, experiencing the culture and folklore first hand, and running around hand in hand with the love of your life exploring through the secret sides of the Icelandic landscape! Are you ready for a 12-18 hour Iceland adventure wedding day with us?! 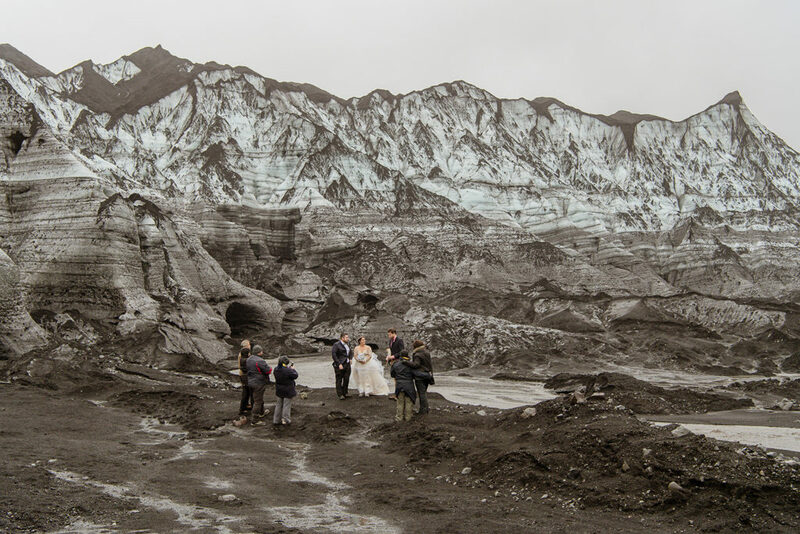 See one of our previous Iceland summer wedding videos, HERE. 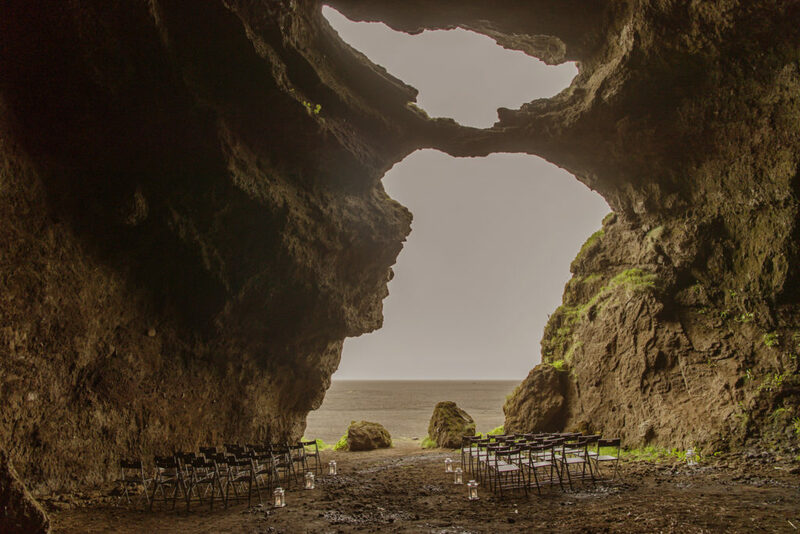 We will be very forward with you and say we are nowhere near the “cheapest” Iceland wedding planner out there, but with us you are paying for the intense level of detail/expertise, the EXPERIENCE of our amazing offbeat / private locations and the individuality that comes with them. I mean come on, you didn’t come all the way to Iceland to have a cookie cutter wedding, did you? 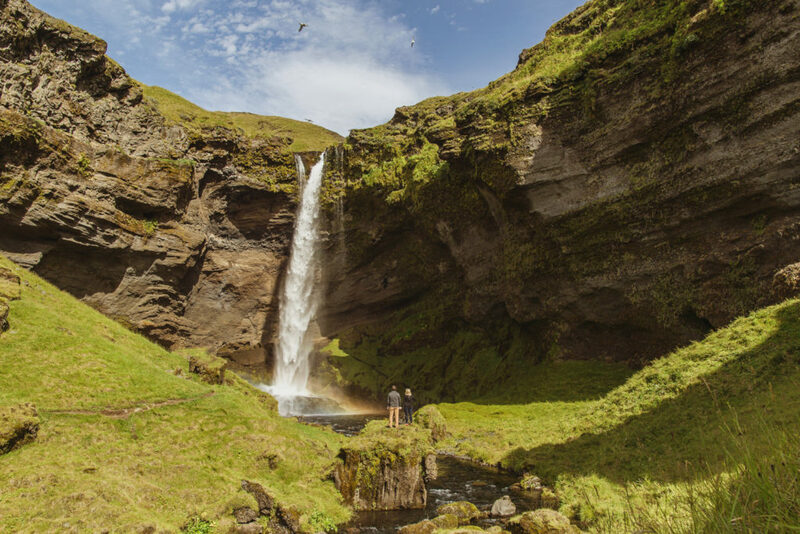 Because anyone can go and marry in front of the super touristy Skogafoss, Seljalandsfoss, and Reynisfjara black beach (#beentheredonethat), but we believe there is another level of intimacy our exclusive locations provide you versus the day being shared among 100’s of tourists. Feel free to read through our FAQ section before contacting us to see if we’d be a good fit! Our Iceland Wedding Photography team is a fabulous fun mix of Americans and Icelanders who have a serious passion for what they do. They chase daily unforgettable experiences in offbeat and private locations. They love to hike, climb, repel, have endless energy, and most of our clients would say they’re part mountain goat! One of the most important aspects of hiring a local Iceland wedding photographer is that they are 100% capable in the extreme conditions (IE, extreme wind, rain, blizzards, etc) and have rugged gear to match. It’s not super often that we get the perfect beautiful blue sky days here in Iceland and our adventure weddings happen rain or shine so you need to embrace it! Having a local photographer is key also because they can suggest plan b, c, d locations if needed because of extreme weather conditions or moments. Fun Fact: All of our Iceland wedding photographers also duel to a certain extent as day of wedding planners ensuring the day runs smooth and have a bottomless “go bag” filled with things like clear umbrellas, hot hands, extra socks, bridal emergency kits, and first aid items, etc. So what about our style as Iceland wedding photographers? It’s exactly what you will see throughout our site… Mainly tiny people, big landscape. Mixed in are the cuddly closeups, candids, and story-telling moments. But most importantly our photography style captures you two adventuring together in the epicness of Iceland. 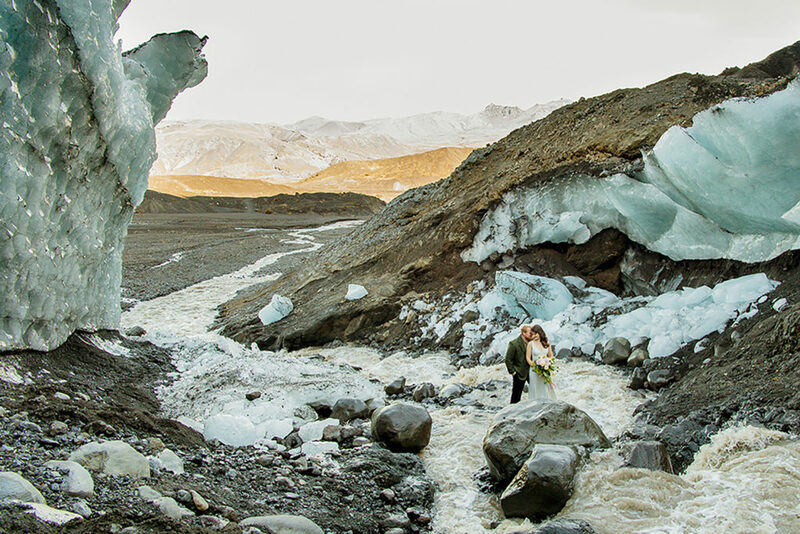 Our adventure wedding day schedules offer a vast variety of many locations that vary textures, tones, and type (waterfalls, cliffs, beaches, canyons, volcanoes, glaciers, ice caves, etc). 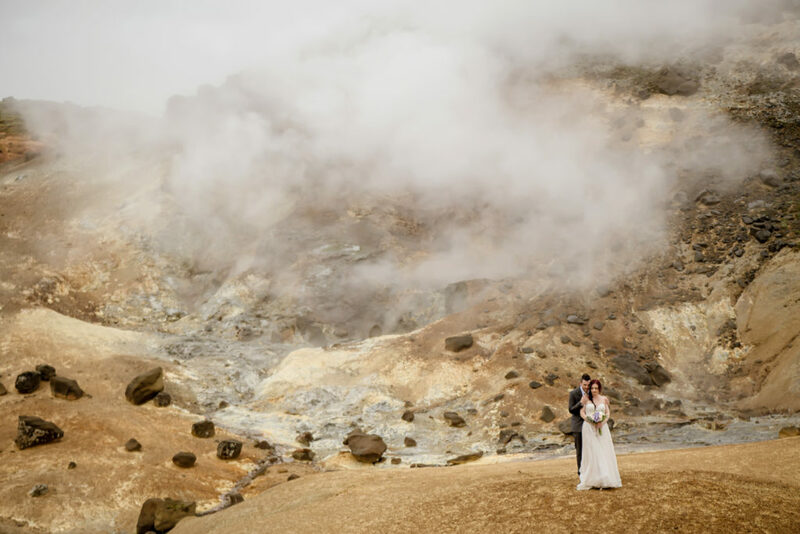 More info about our Iceland wedding photography team style HERE. Let me guess… You’re a couple who has travel and adventures together as part of the core of your relationship, right? When you found yourself engaged and starting to wedding plan, nothing traditional felt right. Rather, it became important to you both to show your family and closest friends how you guys do things when you travel. Nothing suites you better than an adventure style wedding with all you love, right?! Truth be told, there are a lot of moving parts/ dynamics to think about when planning an adventure style wedding to ensure your guests stay safe, warm, and the energy level stays high! 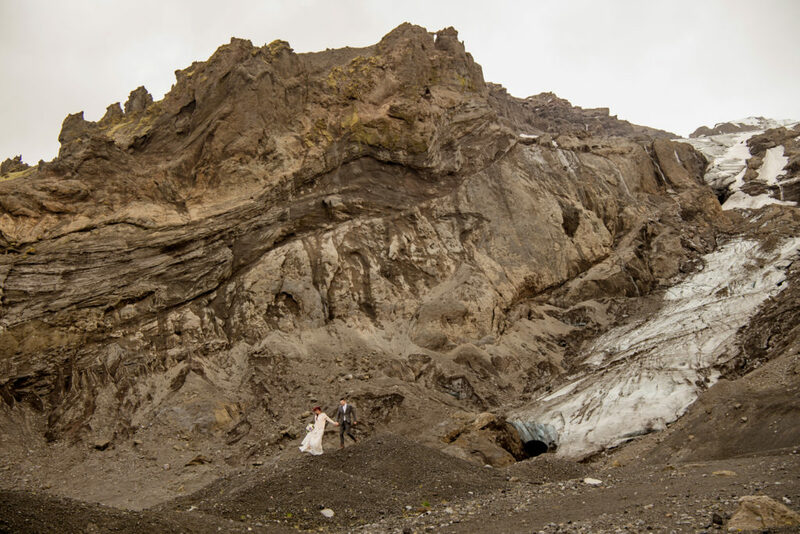 We bring up topics other wedding planners in Iceland don’t think about because we have executed 100+ adventure style weddings and have learned a lot along the way 😉 Find more of our weddings with guests, HERE. You’ve made the super awesome decision to make your wedding day about the two of you, only! Bravo!! It takes a lot of guts sometimes to forgo all of the traditional pressures back home and run away to a place that is on both of your bucket lists. So you both know you want to embark on something super different than the norm and fell in love with our adventure wedding concept. But would still love to take it up a notch in regards to details, because you want come home with some incredible keepsakes to remember your grand adventure together! Good news, one of our specialties is planning and photographing Iceland Luxury Elopements! 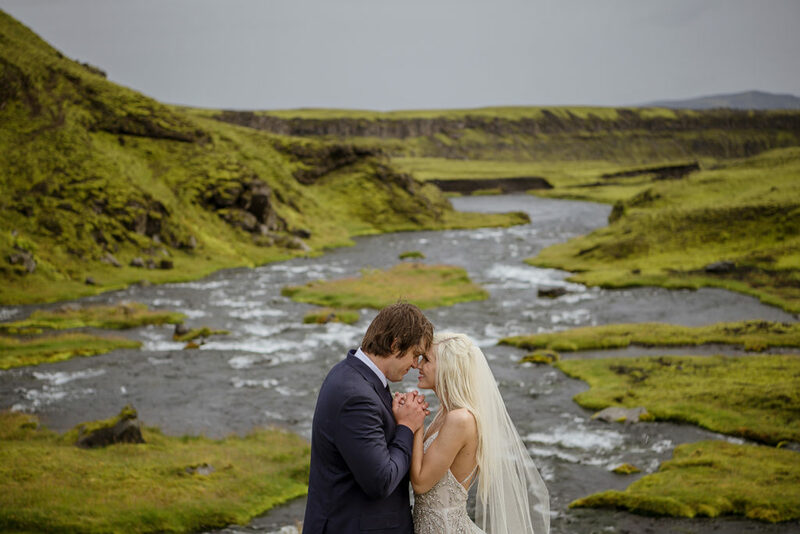 See more of our gorgeous elopements in Iceland, HERE. 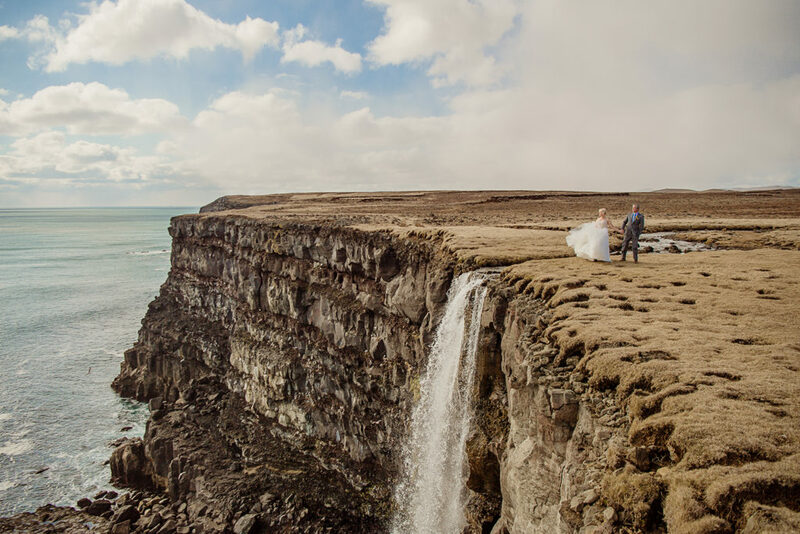 Oh la la, our absolute favorite topic… Iceland Wedding Locations! It’s so hard to pick because honestly, every single inch of this island is photogenic! 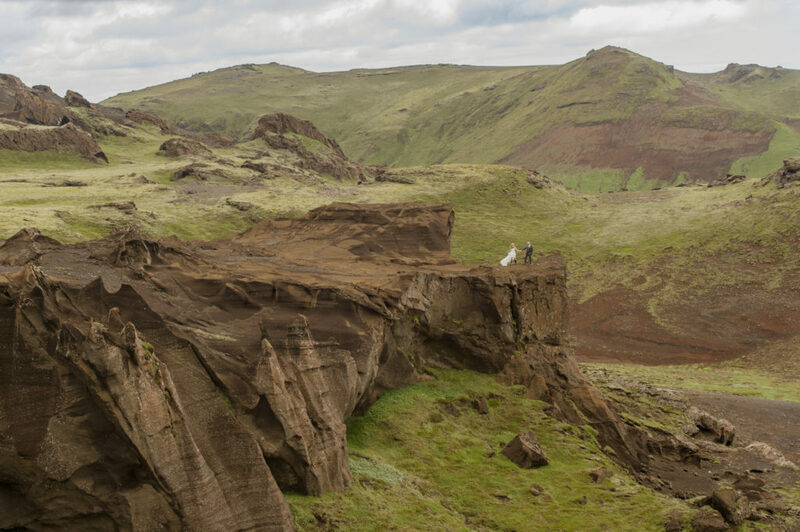 Are you envisioning your Iceland wedding ceremony on top of a mountain? Glacier? Volcano? Cliff? Black Sand Beach? In front of a secret waterfall? Inside of a hidden cave? Moss covered lava field? Inside our outside of an ice cave?! The list is endless!, truly! But that said, our Iceland wedding locations are offbeat and/or on private property. So what does that mean? 1- You experience “pure” Iceland. 2- Our team secures permits/special permissions/has contracts with landowners to ensure exclusivity. 3- Some hiking may be required (typically <30 minutes). 4- No big buses of tourists will ruin your ceremony or Iceland wedding photos. 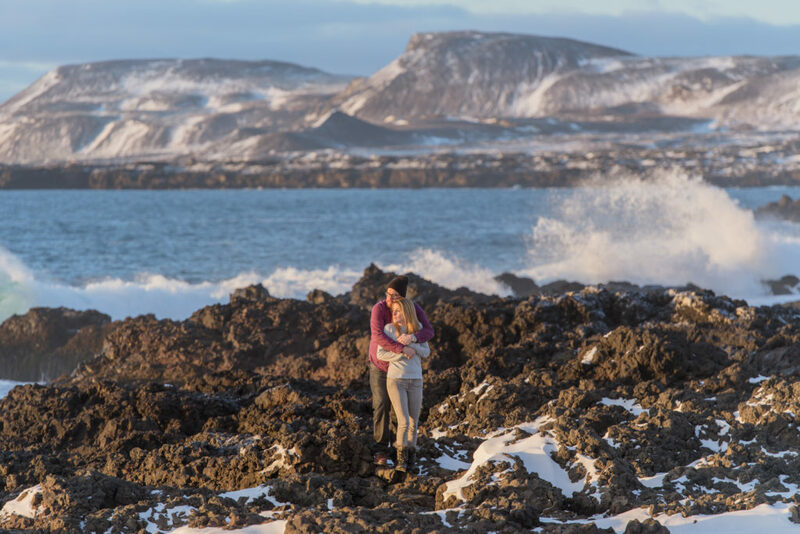 Winter in Iceland is an enchanted time of the year to visit and get married! Although, we typically do not take on weddings between mid November-January because of the amount of daylight (we need more to adventure in!) and the super bad weather. Our winter wedding season is between February-March. This is when the Northern Lights are strongest and when there are more ice caves than we can count to explore! 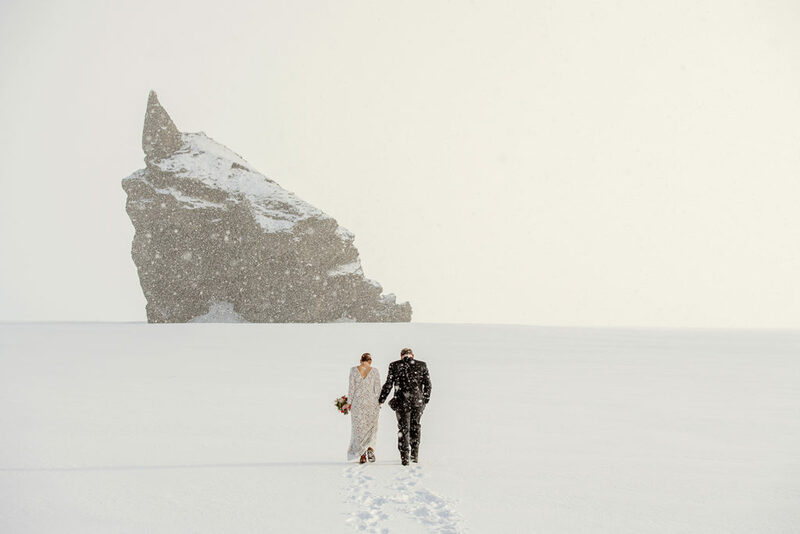 Checkout more amazing Iceland winter weddings, HERE. Spring in Iceland is typically between April- Mid June. This is when the snow melts from the mountains and the grass / moss starts to get a bit greener. These months can be a bit more cold (May for example) and have days of rain but is actually quite nice to have an Iceland adventure wedding in! Everyone adores summer in Iceland! Summer is between end of June to early September. Personally, August is my favorite month for weddings. 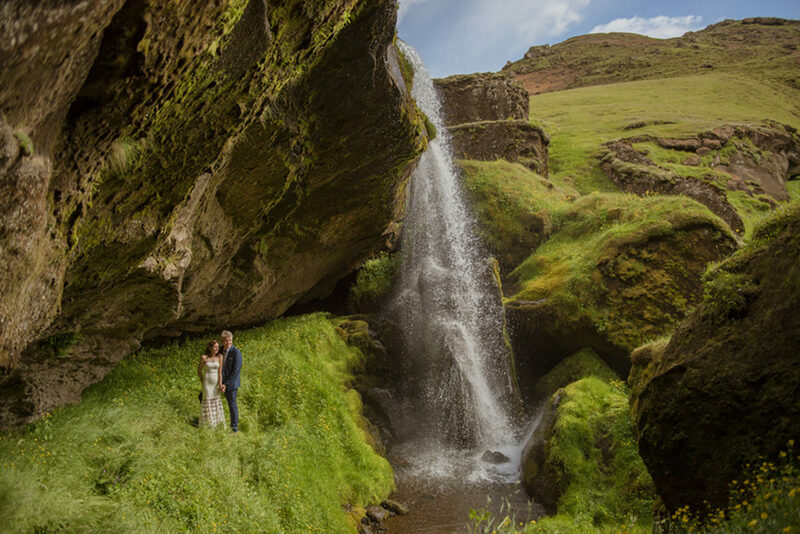 Having a summer wedding in Iceland, you can expect the landscape to be the greenest it will be all year, warmer temperatures, but notorious for wind storms! During these months, we are able to present you with even more options than during other seasons because the highland roads are fully open and ready for our super jeep team to explore with you! 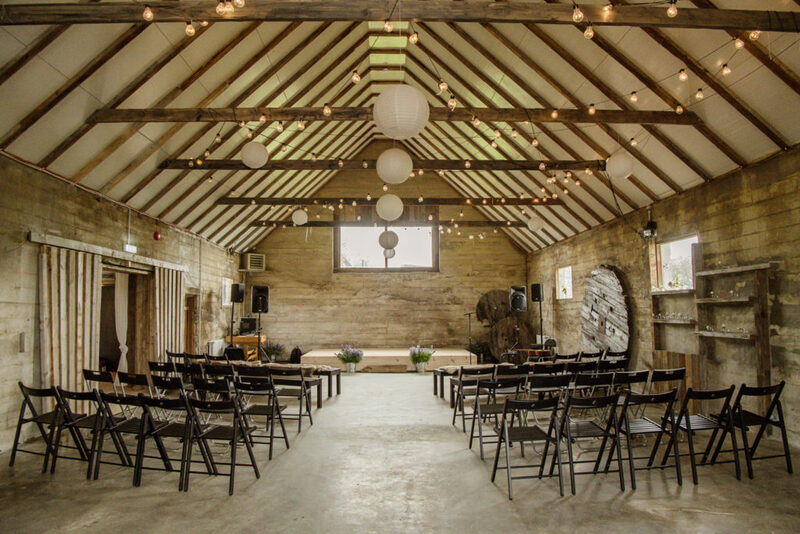 So many incredibly unique spots await you if having an Iceland summer wedding or elopement! 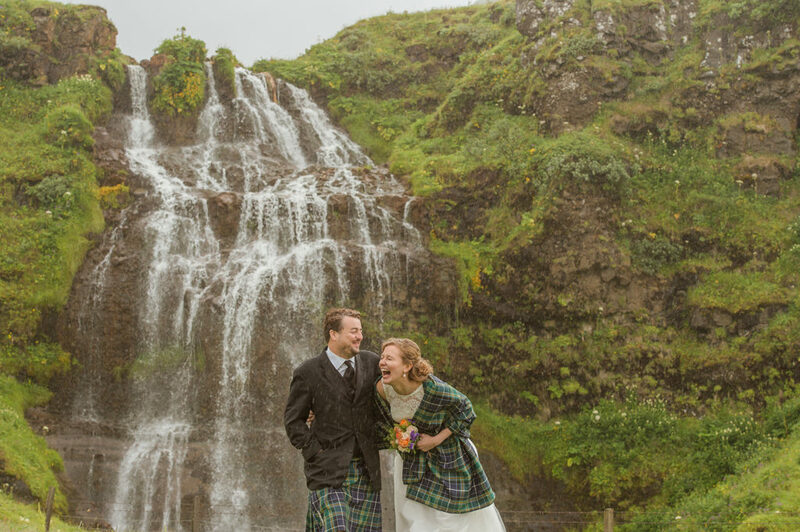 See more stunning Iceland summer weddings, HERE. From mid September-early November is our fall season in Iceland. 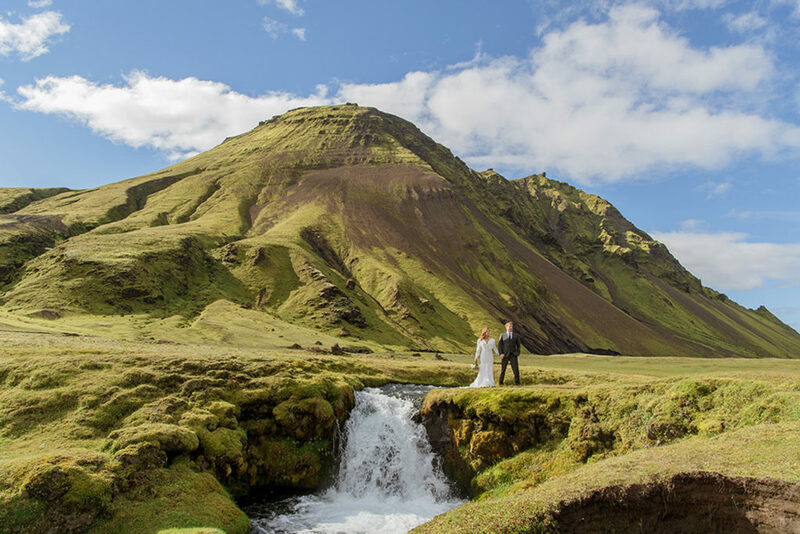 Fall is another amazing season to have your wedding in Iceland! Snow begins to come back on the tops of the mountains, waterfalls / canyons fill up, and the ground cover begins to turn lovely colors! 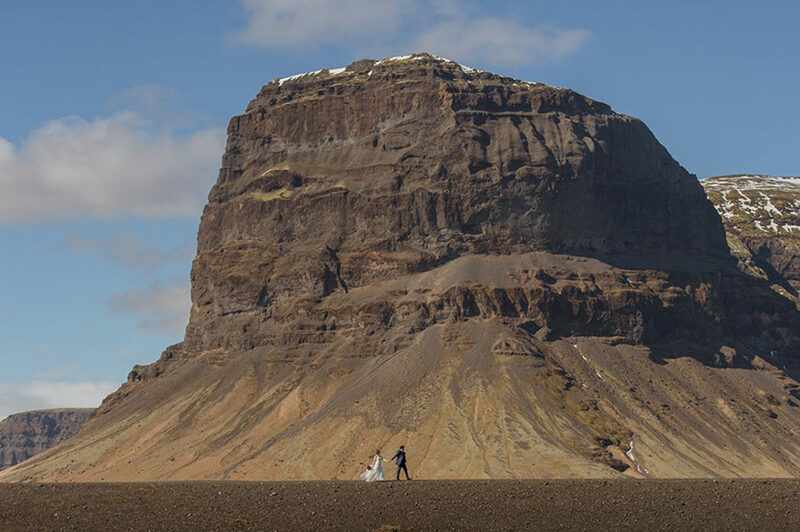 See more about Iceland weddings in the fall, HERE. Deciding to propose to the one you love and adore is a super special moment in your love story. Why not plan something unforgettable for you both? Planning to propose in Iceland is a fantastic decision! Our team would love to craft a super unique day for you. 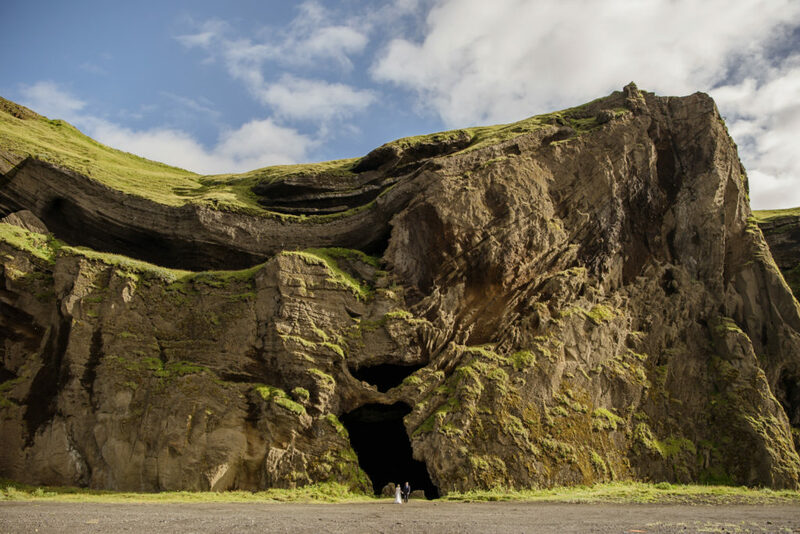 We have a long list of Proposal Locations in Iceland that are more offbeat (not flooded with tourists) for you to choose from! 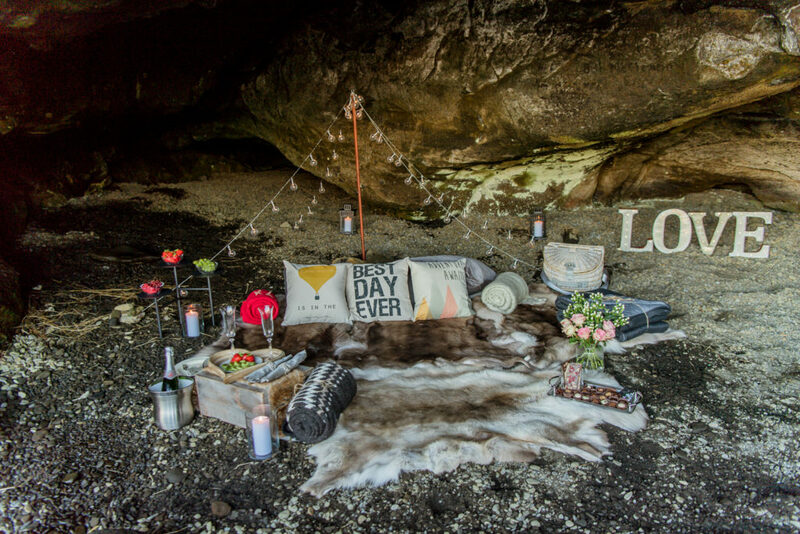 Furthermore, our Iceland Wedding Planner team would love to setup a luxury picnic and/or forever pause that moment by proposal photographs! More info on proposing in Iceland, HERE. 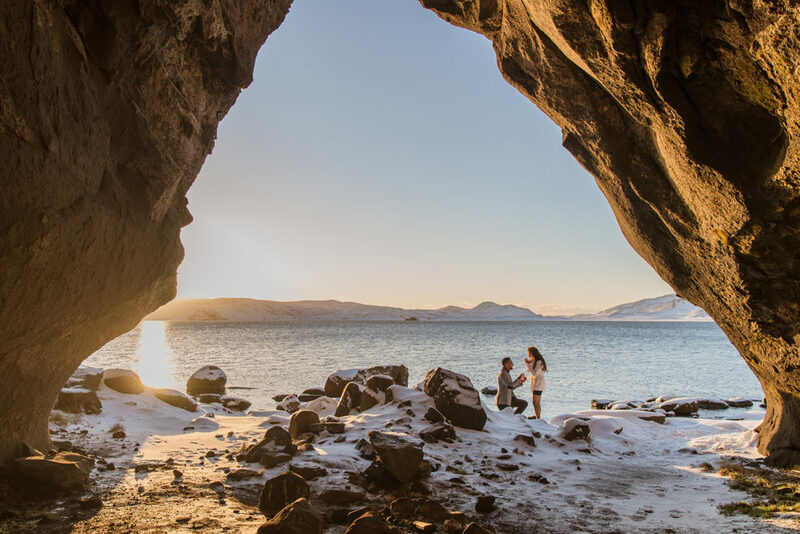 So maybe the proposal happened somewhere else but you’ve planned a trip to Iceland and would love to have your engagement photos taken here! Great idea! 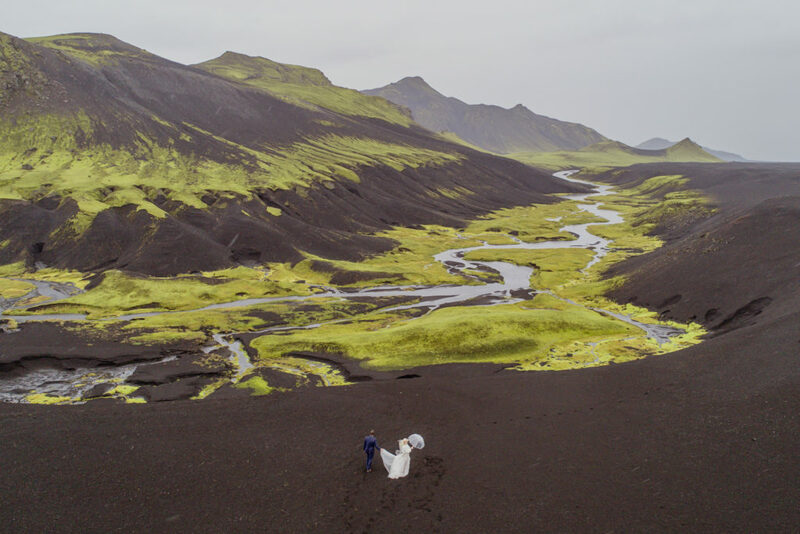 Our Iceland wedding photography team would love to take you on an adventure to some of our offbeat places either by 4×4, super jeep, or helicopter! Feel free to contact us HERE for more information on having an engagement session in Iceland! 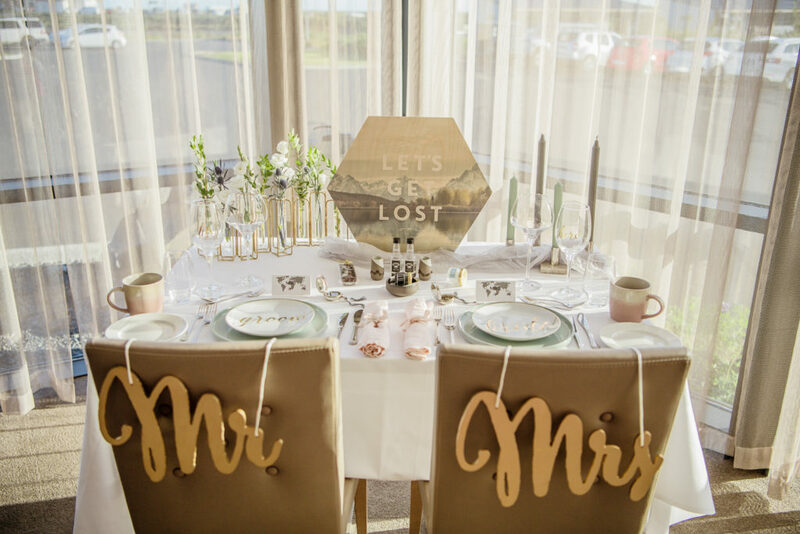 While you are planning your wedding in Iceland, you might find yourself wanting to add in elegant decor items to accent your ceremony and/or reception. We actually have a stylist/florist on staff and have a very beautiful collection of Iceland wedding rentals for you to delight in! 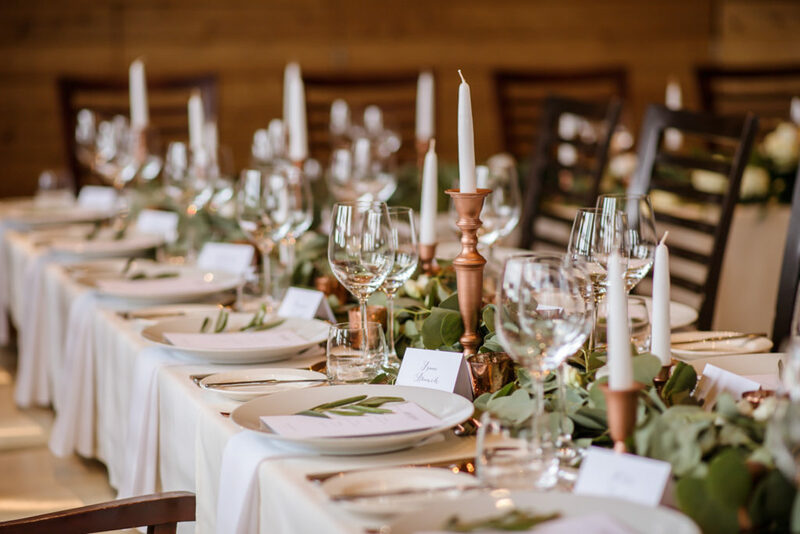 So whether you need 40 chairs / benches, 10 clear chargers, or centerpiece accents, we will likely have something in our portfolio for you to rent for your Iceland wedding reception or ceremony! More info on that topic found HERE. 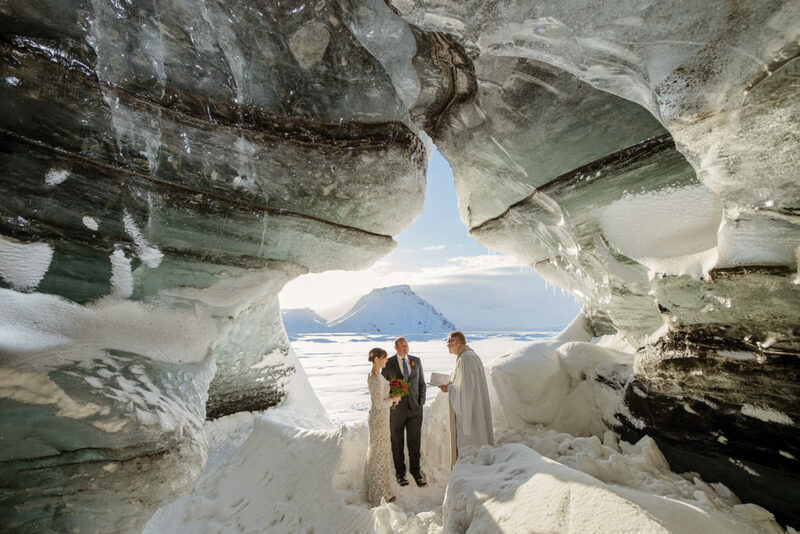 There is a lot to think about and plan if you want to have an adventure wedding in Iceland. We have years worth of advice throughout our Iceland Wedding Planner website. 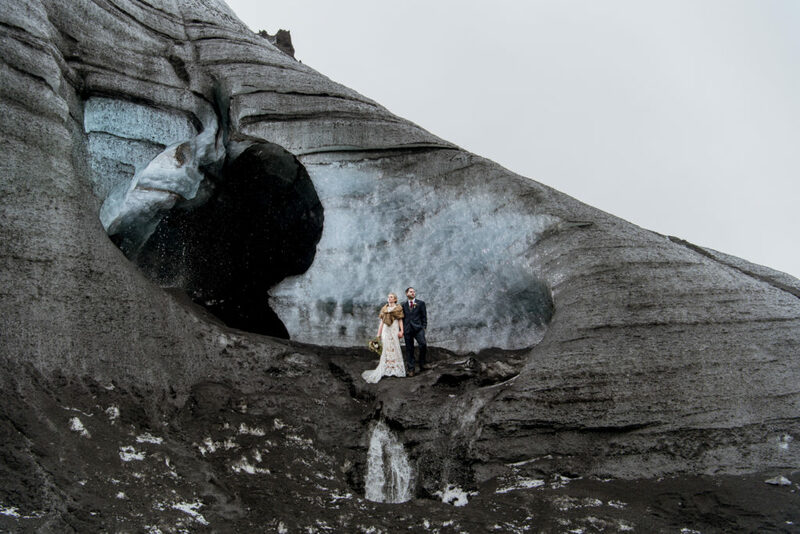 So even if we do not work together, we would love for you to take some of our advice (and heed some of our warnings) as you prepare to have your wedding in Iceland! 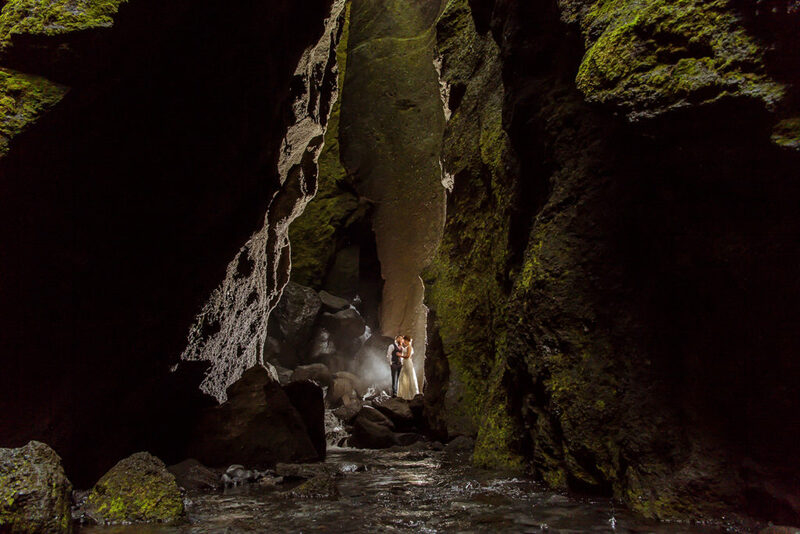 Head over to our blog, HERE for more advice and helpful tips on planning a wedding in Iceland. Special Note: The majority of Iceland is privately owned or within a National Park… All which require in advance written permission or paid permits to have weddings, events, or professional photography. Spreading the word on our unique adventure wedding concept is important to our mission, so we often submit the weddings our team plans and photographs. We are a frequently published destination wedding planning team. 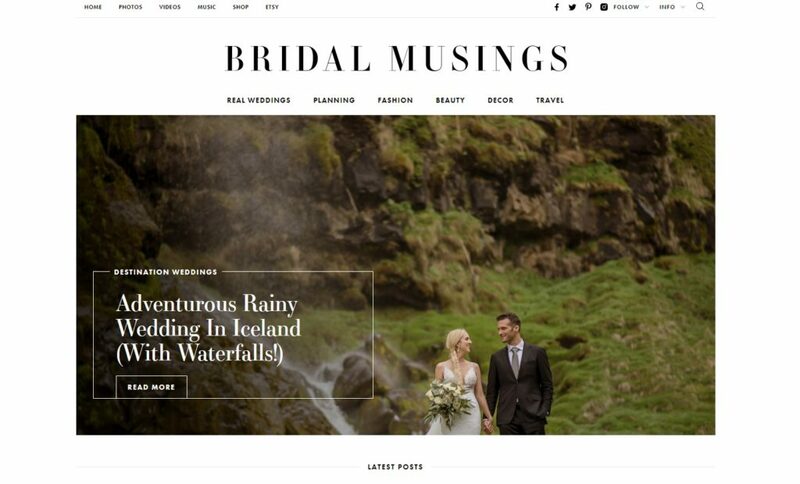 Feel free to have a look through our Iceland Wedding “Press” page, HERE. 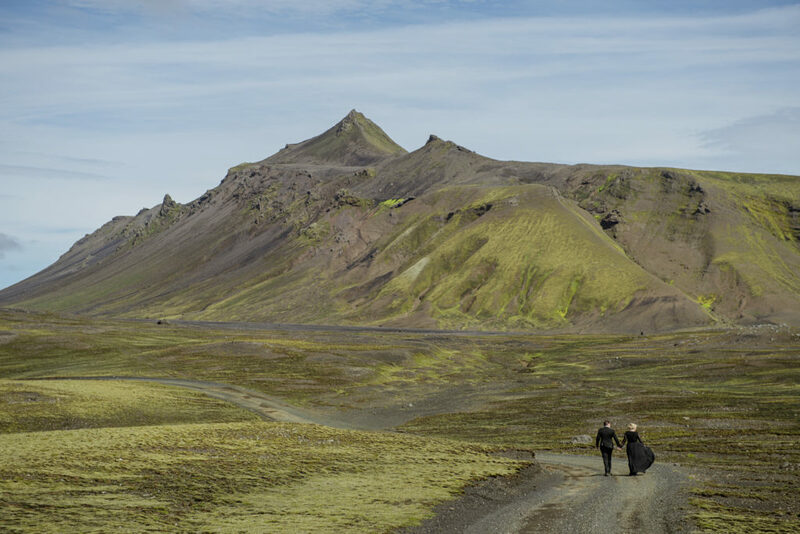 Our Iceland Wedding Planner team is tried and true. Established in 2012, we have countless happy couples out there! 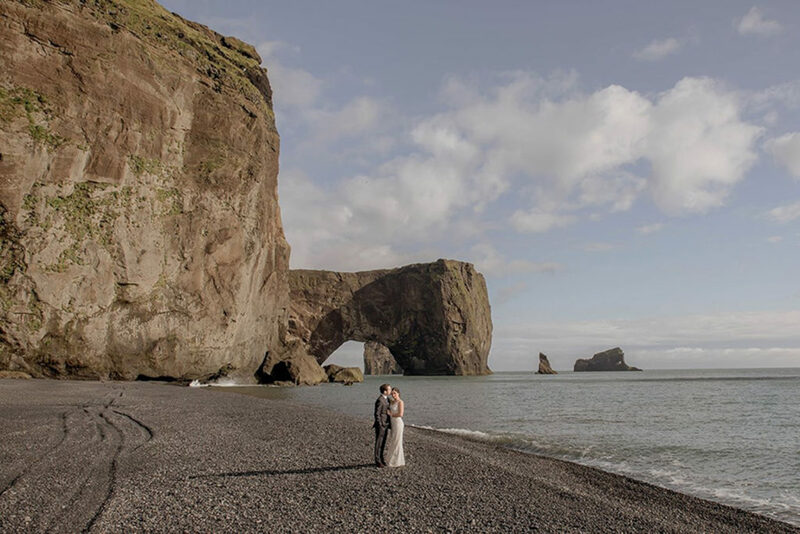 Make sure as you begin your Iceland elopement or wedding planning you see what other people are saying them! We pride ourselves on our superior customer service. 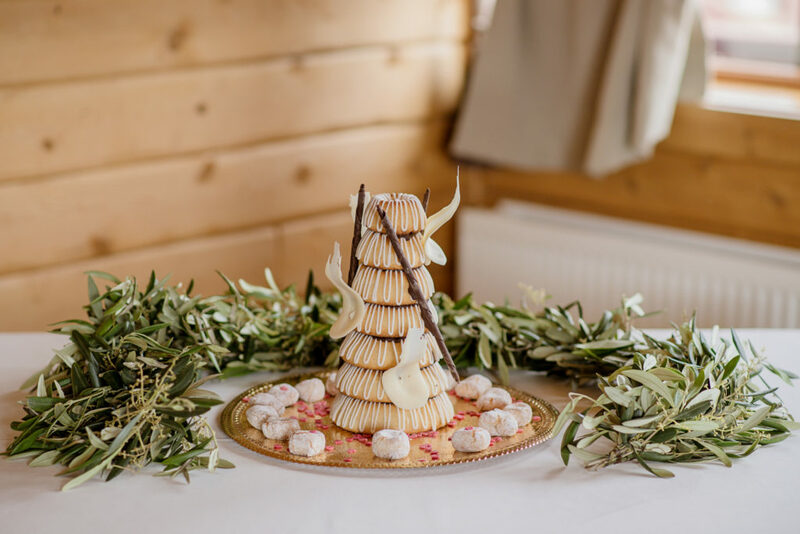 In fact, reading through reviews our Iceland wedding clients leave us, warms our hearts! If curious, feel free to check out the tons of 5 star reviews we have out there. They can be found on these 3rd party websites such as the following: Google, Wedding Wire, and The Knot!